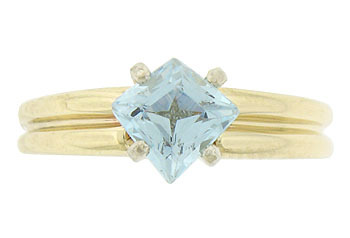 A dazzling .85 carat, kite cut aquamarine floats above the surface of this 14K yellow gold estate ring. 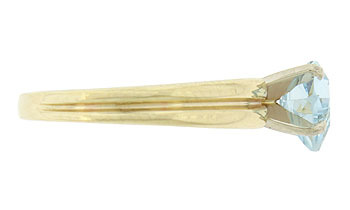 The wide smoothly polished mounting features a deep center channel giving the ring a double wide band. 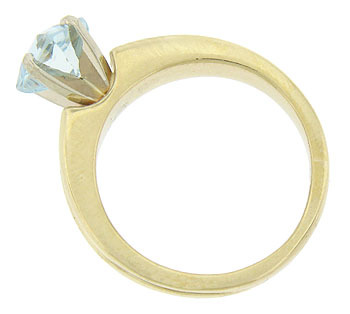 Bold, white gold prongs present the sky blue stone. 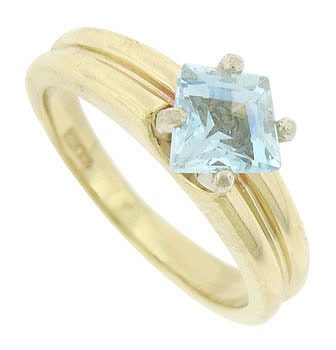 The ring measures 8.09 mm. Circa: 1950. Size 5. We can re-size.